The booklet ideas on this section of the website were created by Kim Lenging and were originally published on another wonderful Kindergarten website called KinderNet (which is no longer online). With permission from the booklet author and the website owner, I am publishing them here so that teachers and students will continue to be able to have access to these wonderful ideas! Thanks to Kim for sharing! If you have any questions regarding the booklets, please contact her at lengning@adelphia.net . What is the Purpose for Having Students Make Their Own Books? 1. Children who make books in the classroom, or contribute to the creation of a class-made book, feel a sense of ownership and pride. This makes the books relevant to the child and more likely to be pulled out "over and over" for reading "again and again". 2. The text and illustrations are simple and repetitive. Usually, the changing words are cued by the illustrations which make the books perfect for beginning readers. 3. The subject matter covered in the books review skills and curricular areas covered in the classroom. The 'Mail Book' is directly related to the social studies curriculum (community workers); the 'Potato Book' practices counting and number word recognition; 'Orange is a Carrot' and 'I See Colors' practices colors, color words, and rhyming. The practice of actually reading the book aloud (yes, they have memorized the text) is essential for the development of literacy skills such as voice to print matching, left to right progression, and one to one correspondence. 4. The books don't cost the parents any money. Reading books, when purchased at a book store, are very expensive. Most schools don't lend reading books to the children to practice with at home. Reading books, by nature, tend to be short, so MANY are needed in order to adequately practice emergent literacy skills. These class made books cost nothing but the time parents spend reviewing them with their child. 5. The creation of books in the classroom helps children understand the role of authors and illustrators. Children will begin to see themselves as part of the process, rather than simply the passive benefactor of somebody else's hard work. Understanding HOW books come about leads to an appreciation for them. 6. They look good!! What a cute thing to show off at the next family get together. It's an even bigger 'hit' when the child can "read" the book aloud to Grandma! All of Kim's books tend to be put together the same way. Type two pages worth of text onto one page in a word processor, using 1/2" top and bottom margins, and 1"-1 1/4" side margins. Comic Sans or Century Gothic are the best fonts at 22-26pts. The first line of text is put almost halfway down....usually at line 9 or 10, and the following page's text is typed in at the bottom of the page, usually at line 19 or 20. Kim runs her papers on a duplicator then cuts them in half. The covers are made from construction paper, 12x18 which is cut in half lengthwise (6x18), then folded in half so the pages fit snuggly inside. The pages are stapled in. There is a pointer for every book. Pointers are popsicle sticks with appropriately themed items glued onto the end. The pointer is placed in a pocket taped to the inside cover. The pockets can be made either from scrap paper, or an appropriately shaped die-cut glued on 3 sides. There are two types of books in Kim's collection. INDIVIDUAL STUDENT-MADE BOOKS which each student makes his own book, and COLLABORATIVE CLASS BOOKS in which each student makes one page of the book. These books may be bound and placed in a class library. Welcome! I'm so glad that you're here. Sit back, enjoy, and explore inside this virtual cupboard. 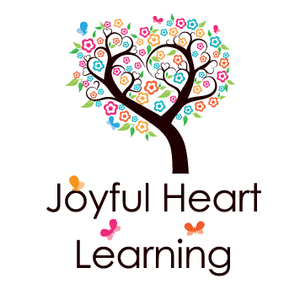 I pray that you'll find ideas and resources to equip and encourage you as you embark on a joyful journey into learning with your children. The precepts of the Lord are right, giving joy to the heart. This work by Michelle Hubbard is licensed under a Creative Commons Attribution-Noncommercial 3.0 Unported License. All non-credited text, printables, and photos on the Hubbard's Cupboard website are copyrighted 2000-2017 by Michelle Hubbard. Most of the printables shared on this site are FREE and you are welcome to download them for your personal and/or classroom use only. Design and all contents (free or purchased) may not be reproduced in any format or placed on another website without permission. All rights reserved worldwide. If you would like to share, please share the url of the page - not the file links.